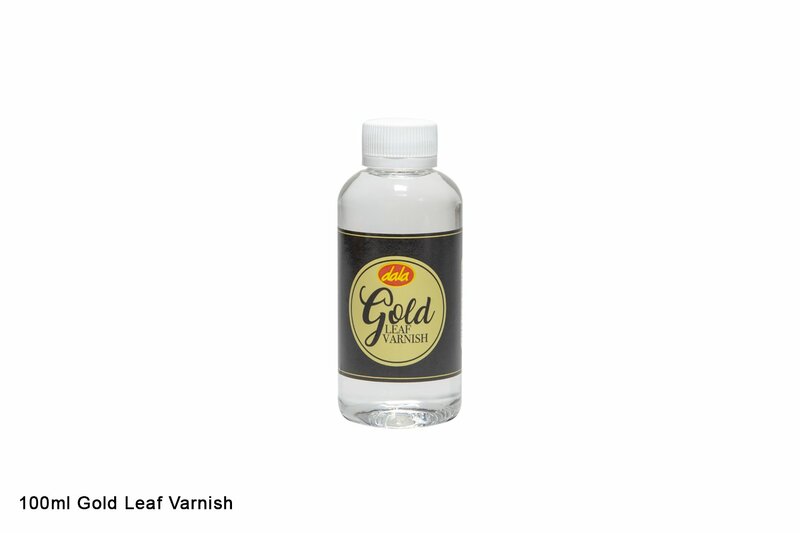 Gold Leaf Varnish is a glossy, clear varnish formulated for use in conjunction with Dala Gold Leaf Sheets and Dala Gold Leaf Size in the antiquing and gilding of items. Once your Gold Leaf application is complete and the Gold Leaf Size has dried, use a soft brush to apply a thin even layer of Gold Leaf Varnish over your Gold Leaf application as last glossy, protective sealant. This item has 401 views.